Skegness Town Council has objected to plans to build a house of multiple occupancy on a route to schools. Mr R G Hubbard has applied for change of use and conversion of two existing flats at 39 Grosvenor Road. Skegness Town Council have opposed plans for another HMO in Grosvenor Road. The views of councillors on the planning committee were supported by members the full council when they met on Wednesday. It had been resolved that the council objected on the grounds of “over intensification of HMOs on this road”. Concern was expressed about the “higher crime figures for this area and the proximity to schools”. The council also resolved that the plan was “detrimental to the adequacy of parking and other services in the area and the general impact on neighbourhood amenity”. 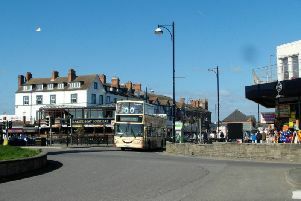 It was stated of the 51 licensed HMOs in East Lindsey, 41 are in Skegness (75.9%) and 17 (31.5%) are on Grosvenor Road. Councillors pointed out that public consultation on the emerging Neighbourhood Development Plan identified better control of HMOs was “urgently needed”. The council called for the plan to be decided by East Lindsey District Council’s Planning Committee and not under delegated powers.